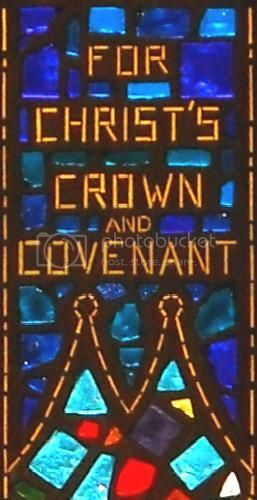 RPCNA Covenanter | Striving To Know A Loving, Covenant God! Striving To Know A Loving, Covenant God! Believers in Messiah the Prince (Jesus Christ, God who manifest Himself by becoming a man). Go to Church as the Bible says we should. Pay attention here. This is the same for those who lived in the Old Covenant and the New Covenant even after Christ replaced the shadows of promise in the Old by becoming the sacrifice for sin as the lamb was. God tells us to believe and go to Church so we can be Encouraged and Encourage each other. This is the covenant that I will make with them after those days, declares the Lord: I will put my laws on their hearts, and write them on their minds, then he adds, I will remember their sins and their lawless deeds no more. Where there is forgiveness of these, there is no longer any offering for sin. Therefore, brothers, since we have confidence to enter the holy places by the blood of Jesus, by the new and living way that he opened for us through the curtain, that is, through his flesh, and since we have a great priest over the house of God, let us draw near with a true heart in full assurance of faith, with our hearts sprinkled clean from an evil conscience and our bodies washed with pure water. Let us hold fast the confession of our hope without wavering, for he who promised is faithful. And let us consider how to stir up one another to love and good works, not neglecting to meet together, as is the habit of some, but encouraging one another, and all the more as you see the Day drawing near. Anyone who has set aside the law of Moses dies without mercy on the evidence of two or three witnesses. How much worse punishment, do you think, will be deserved by the one who has trampled underfoot the Son of God, and has profaned the blood of the covenant by which he was sanctified, and has outraged the Spirit of grace? This is the covenant that I will make with them after those days, saith the Lord, I will put my laws into their hearts, and in their minds will I write them; And their sins and iniquities will I remember no more. Now where remission of these is, there is no more offering for sin. Having therefore, brethren, boldness to enter into the holiest by the blood of Jesus, By a new and living way, which he hath consecrated for us, through the veil, that is to say, his flesh; And having an high priest over the house of God; Let us draw near with a true heart in full assurance of faith, having our hearts sprinkled from an evil conscience, and our bodies washed with pure water. Let us hold fast the profession of our faith without wavering; (for he is faithful that promised;) And let us consider one another to provoke unto love and to good works: Not forsaking the assembling of ourselves together, as the manner of some is; but exhorting one another: and so much the more, as ye see the day approaching. For if we sin wilfully after that we have received the knowledge of the truth, there remaineth no more sacrifice for sins, But a certain fearful looking for of judgment and fiery indignation, which shall devour the adversaries. He that despised Moses’ law died without mercy under two or three witnesses: Of how much sorer punishment, suppose ye, shall he be thought worthy, who hath trodden under foot the Son of God, and hath counted the blood of the covenant, wherewith he was sanctified, an unholy thing, and hath done despite unto the Spirit of grace? Go to Church. I will try. I got the following train of thought out of a sermon on Patience by Pastor James Faris this morning on the a fruit of the Spirit . The sermon didn’t expose all of the following but the word for patience did as I followed the word through the scriptures. Especially when it came to Romans 2:4. The goodness or kindness of God leads us to repentance. Rom 2:4 Or despisest thou the riches of his goodness and forbearance and longsuffering; not knowing that the goodness of God leadeth thee to repentance? We are called to judge. But we should know that God is the first judge. We shouldn’t judge or condemn people especially if we do the same things or have done them. The word judgment can be defined two ways. One is Condemn. We shouldn’t do that. The other is to discern what is correct or right. That we are called to do. We are to warn ourselves first and others of the Judgment to come and to call all men to repent in the spirit of patience. But we should first repent so that we are not caught up in the same judgment of hypocrisy. Evidently some of those who were Jews were judging in the wrong spirit and were willing to condemn others (even kill them) when they were just as guilty. Remember the story about the Pharisee’s, the Harlot, Jesus, and the stones the Pharisee’s expected to pick up and kill the whore with? . Therefore you have no excuse, O man, every one of you who judges. For in passing judgment on another you condemn yourself, because you, the judge, practice the very same things. We know that the judgment of God rightly falls on those who practice such things. Do you suppose, O man—you who judge those who practice such things and yet do them yourself—that you will escape the judgment of God? Or do you presume on the riches of his kindness and forbearance and patience, not knowing that God’s kindness is meant to lead you to repentance? But because of your hard and impenitent heart you are storing up wrath for yourself on the day of wrath when God’s righteous judgment will be revealed. He will render to each one according to his works: to those who by patience in well-doing seek for glory and honor and immortality, he will give eternal life; but for those who are self-seeking and do not obey the truth, but obey unrighteousness, there will be wrath and fury. There will be tribulation and distress for every human being who does evil, the Jew first and also the Greek, but glory and honor and peace for everyone who does good, the Jew first and also the Greek. For God shows no partiality. Mat 7:3 Why do you see the speck that is in your brother’s eye, but do not notice the log that is in your own eye? Mat 7:4 Or how can you say to your brother, ‘Let me take the speck out of your eye,’ when there is the log in your own eye? Mat 7:5 You hypocrite, first take the log out of your own eye, and then you will see clearly to take the speck out of your brother’s eye. Mat 7:6 “Do not give dogs what is holy, and do not throw your pearls before pigs, lest they trample them underfoot and turn to attack you. Luk 6:39 He also told them a parable: “Can a blind man lead a blind man? Will they not both fall into a pit? Luk 6:40 A disciple is not above his teacher, but everyone when he is fully trained will be like his teacher. Luk 6:41 Why do you see the speck that is in your brother’s eye, but do not notice the log that is in your own eye? Luk 6:42 How can you say to your brother, ‘Brother, let me take out the speck that is in your eye,’ when you yourself do not see the log that is in your own eye? You hypocrite, first take the log out of your own eye, and then you will see clearly to take out the speck that is in your brother’s eye. Luk 6:44 for each tree is known by its own fruit. For figs are not gathered from thornbushes, nor are grapes picked from a bramble bush. Luk 6:45 The good person out of the good treasure of his heart produces good, and the evil person out of his evil treasure produces evil, for out of the abundance of the heart his mouth speaks. 1Co 5:9 I wrote to you in my letter not to associate with sexually immoral people. 1Co 5:10 not at all meaning the sexually immoral of this world, or the greedy and swindlers, or idolaters, since then you would need to go out of the world. 1Co 5:11 But now I am writing to you not to associate with anyone who bears the name of brother if he is guilty of sexual immorality or greed, or is an idolater, reviler, drunkard, or swindler—not even to eat with such a one. Let him who is without sin cast the first Stone. None of us are. Let us be patient and longsuffering (patient) loving each other as we should be willing to build each other up. We are all adopted by Christ and growing up. No one is exempt. 1Co 10:11 Now these things happened to them as an example, but they were written down for our instruction, on whom the end of the ages has come. 1Co 10:12 Therefore let anyone who thinks that he stands take heed lest he fall. Gal 6:1 Brothers, if anyone is caught in any transgression, you who are spiritual should restore him in a spirit of gentleness. Keep watch on yourself, lest you too be tempted. Gal 6:3 For if anyone thinks he is something, when he is nothing, he deceives himself. Gal 6:4 But let each one test his own work, and then his reason to boast will be in himself alone and not in his neighbor. Gal 6:5 For each will have to bear his own load. Gal 6:6 Let the one who is taught the word share all good things with the one who teaches. Gal 6:7 Do not be deceived: God is not mocked, for whatever one sows, that will he also reap. Gal 6:10 So then, as we have opportunity, let us do good to everyone, and especially to those who are of the household of faith. Sometimes the Word of God is just the best way to explain things. God wants us to be reconciled to Himself because He loves us. (2Co 5:15) and he died for all, that those who live might no longer live for themselves but for him who for their sake died and was raised. (2Co 5:16) From now on, therefore, we regard no one according to the flesh. Even though we once regarded Christ according to the flesh, we regard him thus no longer. (2Co 5:17) Therefore, if anyone is in Christ, he is a new creation. The old has passed away; behold, the new has come. (2Co 5:19) that is, in Christ God was reconciling the world to himself, not counting their trespasses against them, and entrusting to us the message of reconciliation. (2Co 5:20) Therefore, we are ambassadors for Christ, God making his appeal through us. We implore you on behalf of Christ, be reconciled to God. (2Co 5:21) For our sake he made him to be sin who knew no sin, so that in him we might become the righteousness of God. Be Reconciled to God, please. Also let’s become patient with each other and life’s circumstances. The Mystery of the Gentiles being grafted into the Church is not in found in the book of Psalms? Professor Scott Sanborn argues against exclusive Psalmody by stating that the mystery of Gentile inclusion does not appear within the Psalter. Ephesians 3:4-6 is the text in question. By referring to this, when you read you can understand my insight into the mystery of Christ, which in other generations was not made known to the sons of men, as it has now been revealed to His holy apostles and prophets in the Spirit; to be specific, that the Gentiles are fellow heirs and fellow members of the body, and fellow partakers of the promise in Christ Jesus through the gospel (italics added). Psalm 117, among many others, readily answers this objection. “Praise the Lord, all nations; / Laud Him, all peoples! / For His lovingkindness is great toward us, / And the truth of the Lord is everlasting. / Praise the Lord!” Psalm 117, the shortest in the Psalter, is part of the so-called Egyptian Hallel. It is sung at the Jewish Passover in remembrance of Israel’s salvation and deliverance from Egypt. Of course, Passover points to Christ. “For Christ our Passover also has been sacrificed” (1 Cor. 5:7). Yes, Psalm 117, among others, sets forth “the mystery of Christ, which in other generations was not made known to the sons of men, as it has now been revealed to His holy apostles and prophets in the Spirit (Eph. 3:4-5, italics added). Note the comparison that Paul makes. The mystery was revealed in the Old Testament, but has now been more fully revealed. What is this mystery? “That the Gentiles are fellow heirs and fellow members of the body, and fellow partakers of the promise in Christ Jesus through the gospel” (Eph. 3:6). Sanborn’s protestations are ill-founded. He appears to miss the comparison Paul makes. Paul does not say that the mystery of gentile inclusion was not revealed in the Old Testament. Rather, he pointedly indicates that this mystery was not fully revealed in the Old Testament. Note Paul’s comparison once again: “You can understand my insight into the mystery of Christ, which in other generations was not made known to the sons of men, as it has now been revealed to His holy apostles and prophets in the Spirit” (Eph. 3:4-5). “As” is a conjunction or particle “denoting comparison.”(51) Again, the mystery is, “That the Gentiles are fellow heirs and fellow members of the body, and fellow partakers of the promise in Christ Jesus through the gospel”(Eph.3:6). That this mystery is revealed in the Old Testament is clear. Again, Psalm 117, for example, calls the Gentiles to join in the worship of the Lord of glory. This call is rooted in the promise given to Abraham, Isaac, and Jacob, “In your seed all the nations of the earth shall be blessed” (Gen. 22:18). The seed is Christ (Gal. 3:16). The promise is the gospel: “The Scripture, foreseeing that God would justify the Gentiles by faith, preached the gospel beforehand to Abraham, saying, ‘ALL THE NATIONS WILL BE BLESSED IN YOU’” (Gal. 3:8). The Father’s eternal promise to the Son stands behind all of the temporal promises: “Ask of Me, and I will surely give the nations as Your inheritance” (Ps. 2:8). The Psalms are full of the gospel of Christ. They are full of the mystery of Gentile inclusion. Believers can sing the Psalms concerning this mystery. Additional newer songs are not required. The Psalter is sufficient for New Testament Praise. Scott F. Sanborn, “Inclusive Psalmody: Why ‘Psalms, Hymns, and Spiritual Songs’ Refer to More than the Old Testament Psalter,” Kerux 23:3 (December 2008): 20. John Calvin, Commentary on the Book of Psalms, trans. James Anderson (Grand Rapids: Baker, 1979), 4:375. Henry, Commentary on the Whole Bible, 3: 679. F. Wilbur Gingrich and Frederick W. Danker, Shorter Lexicon of the Greek New Testament (Chicago: University of Chicago Press, 1983), 221. Prutow, Dennis. Public Worship 101: An Introduction to the Biblical Theology of Worship, the Elements of Worship, Exclusive Psalmody, and A Cappella Psalmody. Reformed Presbyterian Theological Seminary Press. Kindle Edition. The Regulative Principle is Fulfilled in Christ? Professor Poythress mixes apples and oranges. The regulative principle arises from the Second Commandment; it is part of the moral law, which is perpetual. “You shall not make for yourself an idol, or any likeness of what is in heaven above or on the earth beneath or in the water under the earth. You shall not worship them or serve them …” (Exod. 20:4-5). “What is forbidden in the second commandment?” Answer, “The second commandment forbiddeth the worshipping of God by images, or any other way not appointed in his word” (WSC 51, italics added). Shorter Catechism 51 is a classic statement of the regulative principle of worship. Believers are not to worship in any way God does not command in His word. The Old Testament prophets, priests, and kings were prophetic types pointing forward to Christ and fulfilled in Him. They served under the ceremonial law and the civil law of Israel, which were temporary. The professor also uses the term fulfilled in different ways. The prophetic types of prophet, priest, and king are fulfilled in Jesus Christ, the anti-type. Old Testament ceremonies are fulfilled when Christ sets them aside to establish His own sacrificial work as final (Heb. 10:9). Christ fulfills the moral law in a different way. He obeys it. Since the regulative principle is part of the moral law and therefore perpetual, it remains in force. God calls all people to obey it. Professor Poythress goes on to rightly say, “In our worship we are to strive for complete conformity to the law, bending all our efforts and finding all our joy in fulfilling it (not going beyond it with inventions).”(36) Amen! However, the professor also says, “Moreover, it is conformity which is internal.”(37) Expressing the need for this internal conformity, he continues, “We must have the mind of Christ …”(38) How true. What happens when there is failure? “We must see that Christ himself is the definitive embodiment of true righteousness.”(39) Christ, therefore, fulfills the regulative principle; “all is fulfilled in Christ.”(40) Note the ambiguity, the equivocation. Christ fulfills the regulative principle as a part of the Second Commandment by His perfect obedience. Since the regulative principle is a perpetual and moral principle and not ceremonial, Christ does not fulfill it like the Old Testament sacrifices, which He does set aside. Conformity to God’s moral law is not only internal. Believers must outwardly act according to God’s law, including the regulative principle. Yes, believers must have the mind of Christ. There is an internal and subjective aspect to worship as God commands. Calvin, following Athanasius, points in this direction in his Preface to the Psalms, “[T]here is not an emotion of which any one can be conscious that is not here represented …”(41) Athanasius teaches “each one sings the Psalms as though they had been written for his special benefit …” and we sing them “as a pattern and model for the amendment of our lives.”(42) The Psalms are a divine guide for the expression of personal thoughts and emotions in worship. The regulative principle of worship remains in force. Psalmody helps believers fulfill, follow, and obey it. As Christians sing the Psalms in worship, God works internal conformity to His Law in them by training their thoughts and emotions. Holding to the regulative principle of worship, the church continues to sing the Psalms. Vern S. Poythress, “Ezra 3, Union with Christ, and Exclusive Psalmody,” Westminster Theological Journal 37:1 (Fall 1974) 82. John Calvin, “The Author’s Preface,” Commentary on the Book of Psalms (Grand Rapids: Baker, 1979), 1:xxxvii. Athanasius, “Letter to Marcellinus Concerning the Psalms,” Fisheaters.com, accessed November 15, 2011. Objections to Psalmody pt 3 Psalmody is Typology? I don’t want to sing about types; I want to sing about the realities. Dr. T. David Gordon says of exclusive Psalmody, “We may sing of Christ typologically through canonical psalms, but we may not sing of Christ expressly; even though Israel could sing expressly of deliverance from Babylon, and was not restricted to singing of it typologically through Exodus-psalms.”(23) It has already been shown, under the heading, “I Want to Sing About Jesus,” that believers do expressly sing of and to Christ using the Psalms. The matter of typology will be addressed shortly. The Psalter itself is not a type. It does not fit the definition of a Biblical type. In his Biblical Hermeneutics, Milton Terry says, “There must be evidence that the type was designed and appointed by God to represent the thing typified.”(25) Scripture nowhere identifies the Psalter as a type. A Biblical type also prefigures prefigures something in the future; a Biblical type is prophetic. (26) What does the Psalter prefigure? In addition, Biblical types involve typical persons, typical institutions, typical offices, and typical events. (27) The Psalter fits none of these categories. The Psalter is not a type. Also recall Matthew Henry’s observation, “Singing of psalms is a gospel-ordinance. Christ’s removing the hymn [Psalms 113-118] from the close of the passover to the close of the Lord’s supper, plainly intimates that he intended that ordinance should continue in his church, that, as it had not its birth with the ceremonial law, so it should not die with it.”(30) Henry acknowledges that Psalmody did not come into existence with the Levitical system. It was added later. To insist that, “the 150 Psalms were written to express and facilitate the idea of the Levitical/Mosaic theology and not to express the theology and ideas of fulfillment in Christ,”(31) ignores the Psalter’s specific Messianic and eschatological character, as already discussed. The Psalter is not a type. It is true that the Psalms use symbolism and typology to speak about the future. Undoubtedly, the Bible in general speaks to God’s people about their future in terms of their past or their present. Israel’s prophets used imagery from the past or present to discuss the future of God’s people. Prophetic portions of the The New Testament do the same. Worthy are You to take the book and to break its seals; For You were slain, and purchased for God with Your blood Men from every tribe and tongue and people and nation. You have made them to be a kingdom and priests to our God; And they will reign upon the earth. B´ King of the nations! C Who will not fear, O Lord, and glorify Your name? D´ FOR YOUR RIGHTEOUS ACTS HAVE BEEN REVEALED. Grasping Biblical typology assists in seeing the unity of Scripture, the unity of the gospel, and the unity of the covenant of grace. Far from being a hindrance to gospel singing, an appreciation of Biblical typology assists gospel praise. As just seen, the way the Bible speaks about the future is with the use of symbols and types. From this perspective, the use of types and symbols in Psalmody is natural and expected. WHY REGULATE TEACHING, PRAYING, AND SINGING DIFFERENTLY? Professor Gordon points to Acts 16:25 to display the similarity between prayer and praise. “Paul and Silas were praying and singing hymns of praise to God.” Literally, the text reads, “praying they hymned to God” [proseuxomenoi humnoun ton theon]. Preaching, prayer, and praise are separate and distinct elements of worship. Paul tells Timothy, “I am writing these things to you … so that you will know how one ought to conduct himself in the household of God, which is the church of the living God” (1 Tim. 3:14-15). Paul’s purpose was to guide the conduct of the church. He tells Timothy, “Preach the word; be ready in season and out of season; reprove, rebuke, exhort, with great patience and instruction” (2 Tim. 4:2). It seems strange that, in Reformed circles, it is necessary to defend preaching as a distinct element of worship. It will be argued below that the references to singing in both Ephesians 5:19 and Colossians 3:16 have to do with corporate worship. The Westminster Divines appear to have held this position. Public prayer is also an important part of corporate church life. (62) “First of all, then, I urge that entreaties and prayers, petitions and thanksgivings, be made on behalf of all men, for kings and all who are in authority, so that we may lead a tranquil and quiet life in all godliness and dignity” (1 Tim. 2:1-2). The Westminster Confession of Faith is clear on these matters. “The reading of Scriptures with godly fear; the sound preaching, and conscionable hearing of the Word, in obedience unto God, with understanding, faith, and reverence; singing of Psalms with grace in the heart … are all parts of the ordinary religious worship of God” (WCF 21:5). “Prayer, with thanksgiving, being one special part of religious worship, is by God required of all men” (WCF 21:3). Following Scripture and our Confession, it is maintained that preaching, prayer, and praise are separate and distinct elements of worship. Colossians 3:16 makes it clear that preaching and singing in the congregation are equally important: “Let the word of Christ dwell in you richly,  teaching and admonishing one another in all wisdom,  singing psalms and hymns and spiritual songs, with thankfulness in your hearts to God” (ESV, italics added). Colossians 1:28 defines admonishing and teaching as preaching. “We proclaim Him, admonishing every man and teaching every man with all wisdom.” In the grammatical construction of Colossians 3:16, the two participles, admonishing and teaching, are parallel to the third participle, singing. This construction indicates that preaching, on one hand, and singing, on the other hand, are equally important. Singing is definitely not more important than preaching. Exclusive Psalmody rejects such a notion. At the same time, note the translation of the English Standard Version. “Let the word of Christ dwell in you richly,  teaching and admonishing one another in all wisdom,  singing psalms and hymns and spiritual songs, with thankfulness in your hearts to God” (italics added). The Revised Standard Version is similar. “Let the word of Christ dwell in you richly,  teach and admonish one another in all wisdom, and  sing psalms and hymns and spiritual songs with thankfulness in your hearts to God.” Both of these versions place psalms and hymns and spiritual songs with singing. John Eadie supports this approach. Paul therefore restricts singing more than preaching. As just indicated, teaching and admonishing is preaching: “We proclaim Him, admonishing every man and teaching every man with all wisdom, so that we may present every man complete in Christ” (Col. 1:28, italics added). From Paul’s perspective wisdom comes from the Scriptures. He reminds Timothy, “From childhood you have known the sacred writings which are able to give you the wisdom that leads to salvation through faith which is in Christ Jesus” (2 Tim. 3:15, italics added). When Colossians 3:16 exhorts, “Let the word of Christ dwell in you richly, teaching and admonishing one another in all wisdom,” the text exhorts teaching and admonishing rooted in Scripture. In other words, preaching must be Scriptural. Second, Paul is more specific when it comes to singing. He not only requires the singing of public worship to be Scriptural, he specifies the Scriptures to be use in this singing; he specifies the psalms, hymns, and songs inspired by the Spirit found in the Book of Psalms. Again, the English Standard Version exhorts, “Let the word of Christ dwell in you richly … singing psalms and hymns and spiritual songs, with thankfulness in your hearts to God” (italics added). What are believers assembled for worship to sing? They are to sing psalms, hymns, and spiritual songs; these are the songs of the 150 Psalms of the Old Testament. In other words, Paul requires exclusive Psalmody. The Apostle Paul commands the New Testament church to restrict corporate, public singing to the 150 Psalms of the Old Testament by the power of, and under the inspiration of, the Holy Spirit. Restricting singing more than preaching is not arbitrary. It is Scriptural. It is also granted that believers pray when they sing the Psalms. In his preface to the Geneva Psalter, Calvin acknowledges that, “As for public prayers, there are two kinds: the ones made with word only, the other with song. And this is not a thing invented a short time ago. For from the first origin of the church, this has been so, as appears from the histories.”(64) Believers may pray and earnestly seek God’s face when they sing (Acts 16:15). Prayers expressed in song do not eliminate the status of prayers with word only as a separate element of worship. Prayer with word only must be according to the will of God (1 John 5:14). Such prayer must be Scriptural. As already argued, prayer with song is restricted to certain Scripture, the Psalms. God may and does regulate one element of worship differently than the other. Paul does not explain why he restricts singing more than preaching or prayer. Part Four of this study will investigate the unique power of music. Calvin was deeply concerned about music’s penetrating power. “For there is scarcely anything in the world which is capable of turning or moving this way or that the morals of men, as Plato prudently considered it. And in fact we experience that it has a secret and almost incredible power to arouse hearts in one way or the other.”(65) The penetrating capacity of music may be a factor in Paul’s command in Colossians 3:16. Another factor may be the Psalter’s subjective element. Part of Psalmody’s purpose is to guide and train the inner person of believers through singing. Gordon maintains, “The capacity to compose worthy devotional material is due to the wonder of being created in God’s image; not to the wonder of inspiration.”(66) Gordon does not hesitate to indicate “the best work of Donne or Cowper rivals the best work of David …”(67) He neglects the depth of depravity that yet remains with converted composers. Calvin’s view regarding the material worthy of God is more circumspect. In Colossians 3:16, therefore, Paul teaches that singing the Psalms is part of the way believers let the word of Christ richly dwell within them. Another factor in restricting congregational singing to the Psalms may be their universality and staying power. Michael LeFebevre speaks to the universality of the Psalms, including their curses and imprecations, imprecations, and his experience at a seminar on the Psalms. One of the participants was a young priest from the Anglican Church in Rwanda. He spoke of the genocide in Rwanda in 1994, and how most of his own family was brutally slain in that violence. Three of his brothers were killed on the same day. It was painful to talk about those events … But then he found Psalm 137 in the Bible … And ironically, he was able to forgive, because of Psalm 137. Along with their universality, the staying power of the Psalms is well known. Gordon thus speaks about good hymnody. “I have suggested to my students, for instance, that one of the tests of a hymn is whether it would exist as Christian verse if it were not put to music.”(70) The English verse of good hymns has staying power. “This poetry would have survived, indeed has survived, apart from musical settings.”(71) Gordon then compares the Psalms. “Totally apart from any musical considerations, both individuals and congregations routinely find the psalms edifying for use in private, family, or corporate worship.”(72) The Psalter has exhibited much more staying power than traditional hymns, not only over centuries but over millennia. The Psalter’s universality, staying power, subjective element, and the power of music may be reasons why Scripture regulates singing more closely than preaching or prayer. Vern S. Poythress, “Ezra 3, Union with Christ, and Exclusive Psalmody (Concluded),” Westminster Theological Journal 37:2 (Winter 1975): 225. John Calvin, The Second Epistle of Paul to the Corinthians and the Epistles to Timothy, Titus, and Philemon, trans. T. A. Smail (Grand Rapids: Eerdmans, 1964), 205. John Calvin, “Calvin’s Preface to the Psalter,” in Charles Garside, The Origin of Calvin’s Theology of Music (Philadelphia: American Philosophical Society, 1979), 32. Gordon, “Provisional Thoughts,” 19. Italics added. Calvin, “Preface to the Psalter,” 33. Michael LeFebvre, Singing the Songs of Jesus(Fearn: Christian Focus, 2010), 129-130. T. David Gordon, Why Johnny Can’t Sing Hymns (Phillipsburg: P & R, 2010), 130. The Psalms themselves command believers to sing a new song. “Sing to Him a new song; / Play skillfully with a shout of joy” (Ps. 33:3). “Sing to the Lord a new song; / Sing to the Lord, all the earth” (Ps. 96:1). “Praise the Lord! / Sing to the Lord a new song, / And His praise in the congregation of the godly ones” (Ps. 149:1). Coppes invokes Isaiah 42:1, 9, and 10 to make his case. Behold, My Servant, whom I uphold; / My chosen one in whom My soul delights. / I have put My Spirit upon Him; / He will bring forth justice to the nations … Behold, the former things have come to pass, / Now I declare new things; Before they spring forth I proclaim them to you. / Sing to the Lord a new song, / Sing His praise from the end of the earth! (italics added). This objection raises three important issues: the Biblical understanding of the term new, the interpretation of Isa. 42:10, and our relationship to the praise of God’s people portrayed in the Book of Revelation. What is the Biblical understanding of the terms new and newness? George Ladd teaches, “The idea of newness is distinctly eschatological … The idea of newness preserves its eschatological character in the New Testament.”(11) That is, believers live in an era in which the future has dawned. The age to come is pressing into this present age. “Thus,” as Vos puts it, “the other world, hitherto future, has become present.”(12) This is realized eschatology, the already but not yet. R. A. Harrisville adds that, “the ‘new covenant’ is an eschatological concept.”(13) Harrisville then rehearses four characteristics of this concept of newness. The first is that of contrast. “The new covenant exists in contrast to the old by the fact that the community founded upon it is no longer ruled by an external authority from without (i.e., the letter of the law), but is motivated by the Spirit of God from within.”(14) This distinctive of newness, contrast, or discontinuity, presupposes a second characteristic, “the element of continuity. continuity. The new covenant does not replace the old, but rather grows out of it and is related to it as fulfillment to promise.”(15) The new covenant is in essence one with the old; the new is a new administration of the same covenant of grace. A third “distinctive feature of the idea” of newness “is its dynamic element.”(16) This dynamic element is explained by the power of Jesus Christ and his redemptive activity. (17) Newness is seen and experienced in and through texts such a 2 Corinthians 5:17, “Therefore if anyone is in Christ, he is a new creature; the old things passed away; behold, new things have come” (italics added). The Christian is a new creature or a new creation. Great change has occurred in the newly-converted person. There is discontinuity with the past. The newly-converted person, however, may be readily recognized. There is definite continuity with the past. This tension exists because of the dynamic element of the power of Christ introduced into the life of the Christian. The fourth distinctive feature of “new” is finality. “The renewal by faith is final; it cannot be repeated because the believer has been placed within the last and final period of God’s redemptive activity which hastens to its goal.”(18) There is finality to newness because as has been observed in the previous chapter, God’s eschatological plan will come to fruition. This fourfold distinctiveness of newness in Scripture—contrast, continuity, dynamic, and finality—fits well with both the subjective element and the eschatology of the Psalter. What is the proper interpretation of Isaiah 42:10? The text reads, “Sing to the Lord a new song, / Sing His praise from the end of the earth!” Isaiah’s words are a simple command. He exhorts God’s people to sing God’s praise. They must sing a new song. “New is here contrasted with what is Ordinary, and thus he extols the infinite mercy of God, which was to be revealed in Christ, and which ought therefore to be celebrated and sung with the highest praises.”(20) The new song is the song of future glory and blessing, sung as though that future glory and blessing were then present. How could believers sing such a song? Calvin answers, “It ought to be observed that this song cannot be sung but by renewed men; for it ought to proceed from the deepest feeling of the heart, and therefore[,] we need the direction of the Spirit, that we may sing those praises in a proper manner.”(21) Calvin refers to the subjective element, which has been discussed above. Calvin goes on to say, “Besides, he does not exhort one or a few nations to do this, but all nations in the world; for to all them Christ was sent.”(22) The eschatological element comes through strongly in Calvin’s exposition. In the case of Isaiah 42:10, the new song may be old songs sung from a new heart. If so, and if guided by the Spirit, the prophetic songs of David and Asaph, with their eschatological thrust and prominent subjective element, comport well with the command of God through Isaiah. Isaiah 42:10 does not command new and different songs with new and different words. What about the believer’s connection with the praise portrayed in Revelation? A more complete discussion of this question awaits analysis of the heavenly worship portrayed in the Book of Revelation and the use of musical instruments in worship. The basic premise is that God commands believers to hold to the principles of worship He sets forth for the age in which they live. When God commands the building of the tabernacle and institutes sacrifices in this specific location, He changes worship in Israel. The people are not permitted to use the standards of worship previously followed by Abraham. When David adds singing of the Psalms and additional musical instruments to worship in the tabernacle and in the temple by the command of God, the people are not permitted to revert to the more simplified worship under Moses. Similarly, the people living in the time of David and Solomon could not look ahead and adjust their worship to conform to the new age ushered in by Messiah. They were not permitted to forsake principles of worship ordained by God for their time. In like manner, believers today are required to maintain the standards of worship God gives them for this present age. It is not their prerogative to appropriate into the worship of today aspects of worship from another age, whether earlier or later. This argument is another way of stating the regulative principle of worship. 9. Coppes, Exclusive Psalmody, 6. George Eldon Ladd, A New Testament Theology (Grand Rapids: Eerdmans, 1993), 521-522. Geerhardus Vos, The Pauline Eschatology (Grand Rapids: Baker, 1979), 38. R. A. Harrisville, “The Concept of Newness in the New Testament,” Journal of Biblical Literature 74:2 (June, 1955): 73. John Calvin, Commentary on the Prophet Isaiah, trans. William Pringle (Grand Rapids: Baker, 1979), 299.